Tickets go on sale Friday February 15th! at The Rio Hotel & Casino in Las Vegas. ARE YOU A VIP? Of course you are! is included in your Expo Pass for $189. But you can upgrade and watch from the first five rows for just $25! Seats are limited and will sell out quickly. From the submission videos, only 8 female and 8 male athletes are invited to compete for the coveted title of the Overall Pole Classic Champion 2019. 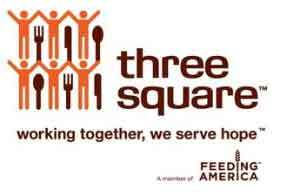 This event takes place Friday August 23rd inside the Rio Hotel & Casino in Las Vegas. The 1st place female will also move on to compete in the Pole Championship Series in March at the Arnold Schwarzenegger Sports Festival in Columbus Ohio. This event is included in the Expo Pass. Originality of the overall performance. Presentation of the overall performance. Interpretation of the music reflected in the costume, chorography, and performance. The execution of a trick or a combination of tricks. The level of difficulty of tricks and combinations. The quality execution, control, stamina, strength, and flexibility of a trick. Demonstration of flexibility, dead lifting strength, clean lines, and foot and toe point. All scores will be collated and tallied after all competitors have performed. Once judging has finished, no scores or discussions can be made to alter the results. Judges must allocate a higher number of points for those athletes with a higher skill level. Judges must not discuss judging or results with athlete. The six (6) judges will be as follows: Two (2) judges judging technical, two (2) judges judging artistic, and two (2) judges judging stage performance. Two (2) Technical Collator – Collecting score sheets, and adding scores. 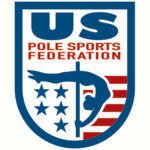 The athletes are competing for the title of Pole Classic Champion and Pole Classic Overall Champion. The first place female and male receive $1000. The 1st place female also wins a spot to compete in the Pole Championship Series. The overall champion and the top three winners from each category will receive a trophy or metal, and will forever be featured in the Pole Classic Winners Circle. All other athletes will receive a participation trophy or metal, and everyone will earn their spot in the Pole Classic Hall of Fame. Additional prizes may be awarded during the awards ceremony.